This is a worksheet exercise for Instructor In Training to practice selecting a horse for a rider. We just started up our Instructor Training Program for the year and I’m trying to make our classroom sessions more interactive instead of just lecture, and this is a result of it. To give you some back ground, Week 1 we focused on the Registered Instructor Criteria, the Standards, the CAT Course, the Self Assessment and the Professional Development Plan. Week 2 we focused on the Instructor Online Course, Horsemanship Criteria & Skills Checklist, and the Horse in Therapeutic Riding. 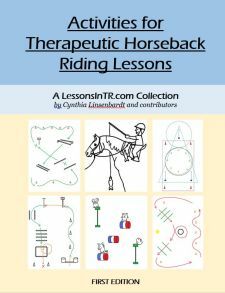 Together we read through a handout based on The Horse’s Movement and Therapeutic Riding. (If it hadn’t been 12 degrees outside we would have ridden some horses too, to feel their motion!) Then I handed out the following worksheet, gave them time to fill it out on their own, and discussed our answers all together. They liked this activity and said afterward it was really helpful, so I want to share it with you. Instructors, you can use it for the IT programs, and Instructors in Training, you can use it to practice! Girl, age 8, small, lightweight. Has Cerebral Palsy, very little use of legs, is in wheelchair. When sitting in neutral she has low tone and slouches, but any sudden movement or touch causes her muscles to tense up – such as when she is startled, unbalanced, her horse transitions too fast, or her horse won’t stand still. She has delayed physical reactions and coordination. Mentally she has no disabilities and is very smart. Adult, male, age 40, tall, heavier. Has is on the Autism Spectrum, is nonverbal with minimal interest in socializing, and is easily distracted by noises or goes inside himself. He has independent ambulation with good balance and agility. He has good comprehension of directions but will only do things for himself if you do not help him (the moment you start doing it for him, he stops trying). Gaits needed during lesson: fast walk, trot – again, more stimulation. I mention how Claudine Pelletier-Milet in her book Riding on the Autism Spectrum actually has her riders with Autism who need stimulation ride at the canter on a lunge line, but they are on ponies that she herself trained and knows very well, who are short enough that the kids can jump off of and not be hurt. Not sure a PATH Center would do that but I thought it was neat! For example this adult rider could probably stay on if we did this, but he has been known to jump off when he’s uncomfortable and I could see him doing this at the canter and really getting hurt. Horse’s training needed for the lesson: led by leader, independent riding – leader for warmups, then independent asap. As you can see, this worksheet can bring up a lot of interesting sides to choosing which horse to use! 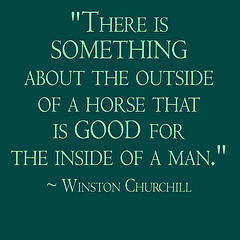 It gives two very opposite riders to consider, and in the end you learn that sometimes your decision depends on the horses you have available, and the rider after you meet them, as these descriptions are not complete. I LOVE, LOVE, LOVE the idea of classroom time for your IT’s!!!! WE have IT’s at our center, but we do not do any group IT instruction! Very forward of me to ask, but would you mind sharing your curriculum? Totally understand if you cannot. I know some centers have lawyers and such & have things copyrighten etc. But if it works & I don’t have to recreate the wheel, I always want to ask! Any time you can use interaction instead of straight lecture, you’ll get better results from your students. Good work!